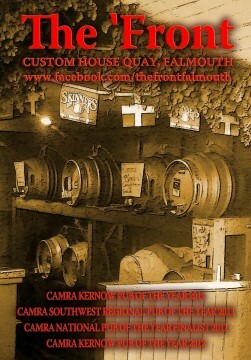 Falmouth's very own all year round beer & cider festival! 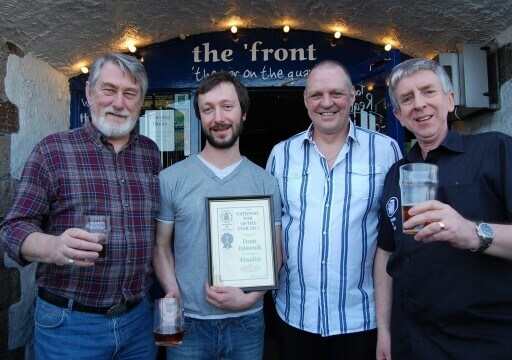 CAMRA Kernow Pub of the Year 2011 & 2012, South West CAMRA Pub of the Year 2011, & Cornwall’s nomination for CAMRA South West Cider Pub of the Year 2013. Styling itself ‘the bar on the quay’, this intimate one-bar pub designed in cellar style with wooden floor and low, vaulted ceiling is tucked away beneath Trago Mills store facing the river over Custom House Quay. Falmouth’s very own all year round beer & cider festival! CAMRA Kernow Pub of the Year 2011 & 2012, South West CAMRA Pub of the Year 2011, & Cornwall’s nomination for CAMRA South West Cider Pub of the Year 2013. According to The Guardian article The Best Bars In The World – ‘A visit here is like gatecrashing a beer festival in a warm and welcoming living room’.